Good things have been happening for Patrick Abboud since his profile skyrocketed during the 2014 Sydney Gay and Lesbian Mardi Gras, but he says there's still a long way to go. SBS reporter and presenter Patrick Abboud has come a long way since Star Observer spoke to him two years ago. Despite ongoing successes in both his professional and personal life, the Walkley nominated journalist has a determined ambition to improve the lives of LGBTI people here and abroad. Abboud, 37, known to audiences for his work on Dateline and SBS 2’s The Feed has been working in the media landscape for the past 15 years across Australia, Europe and the Middle East. Star Observer first interviewed Abboud in 2014 about his co-host gig for SBS’ coverage of the Sydney Gay and Lesbian Mardi Gras Parade and his experience coming out in a family of Lebanese and Palestinian cultural background. Abboud said his family have come a long way since then, from worrying about the reactions from their community and extended family, to now speaking up about LGBTI issues. “When I made the decision to come out on TV, I realised there were that were younger guys going through what I had been through,” he told the Star Observer. “It was an impetus to be much more public and vocal about issues that I’m passionate about. Recently returned from a joint weekend trip with his partner and family, something he would not have imagined possible only a few years ago, Abboud said connection to his family was one of the strongest features of his identity as an Arab-Australian. “My sexuality doesn’t define who I am. As a story teller, it’s only one small part of my identity, 99 per cent of me is Arab, my culture is so much a part of me and family is so important to us,” he said. 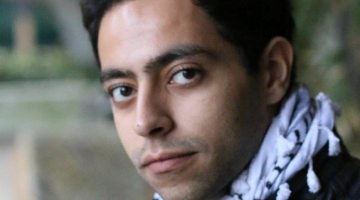 Describing his work to combat discrimination and homophobia in Australian Arabic-speaking communities as a “slow burn”, he concedes his public profile has led to some important dialogue and he continues to be passionate about supporting other LGBTI people from Arabic-speaking cultural backgrounds. 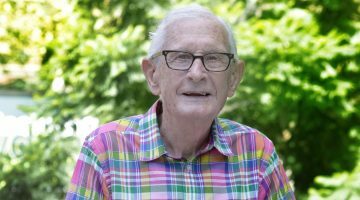 “This weekend I’m going to be at Mardi Gras and then next week I’ll be in western Sydney with conservative Arab leaders,” he said. “Even though attitudes have not changed as much, the fact I can even be there and have the discussion and debate is good. 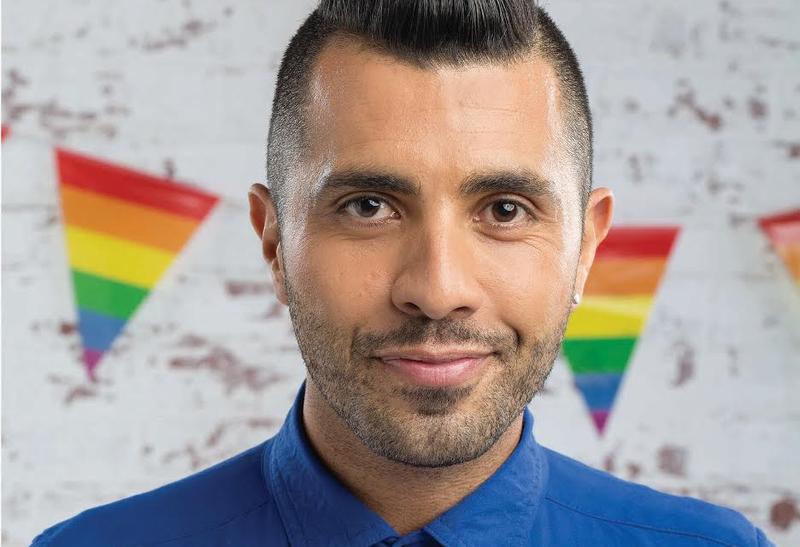 For the third year running Abboud will be one of the hosts of SBS’ highlights coverage of the Mardi Gras Parade, alongside actor Magda Szubanski, comedian Tom Ballard and TV presenter Faustina Agolley. Complimenting the highlights coverage will be a series of untold stories about LGBTI people that Abboud, alongside “an incredible team”, trekked around Australia to produce, including how to date on the gay scene with an intellectual disability, a trans AFL player, the history of the First Nations float and other groundbreaking stories. “Another piece that I’m passionate about is about a Lebanese family in Taree (in northern NSW). Their daughter came out as lesbian and they had to not only deal with it culturally but they were living in a town of hicks,” he said. He was also invited into the home of a family whose gay teenage son committed suicide and showed Abboud the room where they found his body in what is a heartbreaking piece, but an important story to tell. Abboud is also committed to not just making life equitable for LGBTI people in Australia, but also around the world, and hopes he can make a difference through his work as a journalist. “Mardi Gras is not just a street party. There’s a sense we’re not on an equal footing, there’s a lot more work to do,” he said. SBS’s highlights coverage of the 2016 Sydney Gay and Lesbian Mardi Gras Parade will be broadcast on SBS on Sunday, March 6 from 8.30pm. MG16-StoryTeaser_SBS from Golden Duck on Vimeo. Follow Patrick Abboud’s Mardi Gras adventure on Facebook.